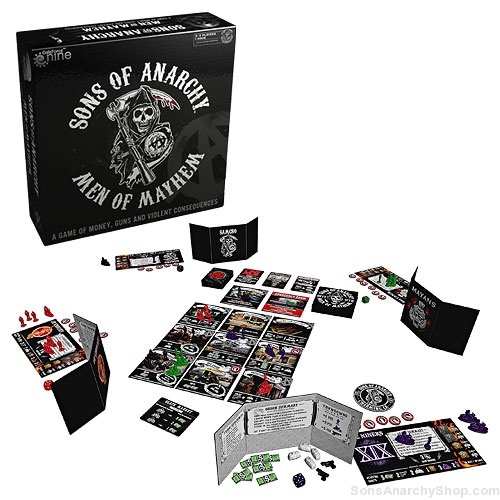 “On the fringe, blood and bullets are the rule of law and if you”re a man with convictions, violence is inevitable.”- John Teller, Founding Member SAMCRO Sons of Anarchy: Men of Mayhem Board Game is a game of money, guns, and violent consequences. 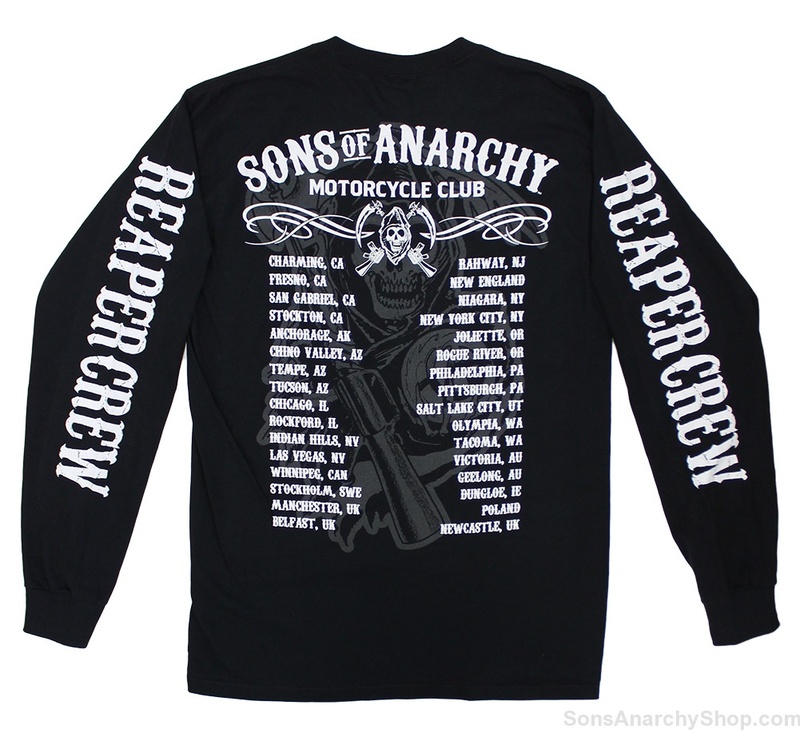 Players control rival gangs, competing to be the most successful outlaw club. 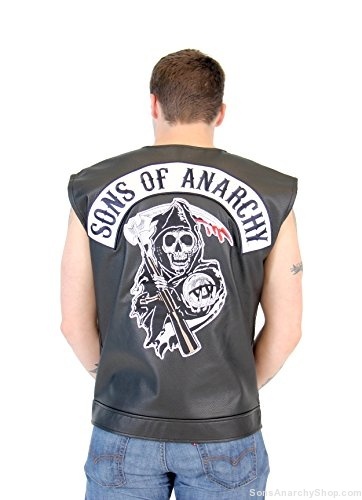 “On the fringe, blood and bullets are the rule of law and if you”re a man with convictions, violence is inevitable.”- John Teller, Founding Member SAMCRO Sons of Anarchy: Men of Mayhem Board Game is a game of money, guns, and violent consequences. Players control rival gangs, competing to be the most successful outlaw club. Each turn, players choose what sites of interest to fight for and what territories to yield. Negotiate, threaten, and ally with rival gangs when it serves your needs, but be wary of the inevitable knife in the back. The gang with the most cash at the end wins! 3 to 4 players. For 3 to 4 players. Ages 13 and up. You”re the president of an outlaw club, directing the gang”s criminal enterprises. Strategically order your gang members to occupy key locations and exploit profitable opportunities. Deal with rivals: Bribe, threaten, and bargain with other gangs. When words fail, violence is inevitable. Throw down with your rivals to wreck their plans or settle a score. But the law is always watching. 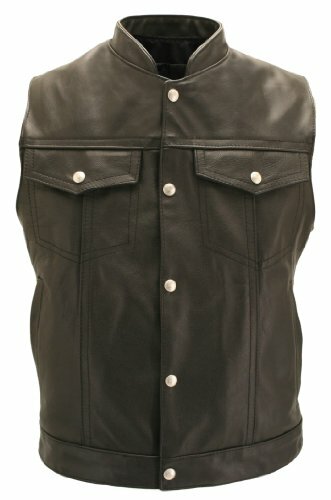 Keep the heat off your back, keep your illicit activities quiet, and keep your members out of jail. When push comes to blood, do you have what it takes to pull the trigger? Game includes 4 Clubhouse cards, 4 Player Blinds, 24 Site tiles, 40 Anarchy cards, 88 plastic pieces, 186 tokens, 4 dice, and a rulebook.